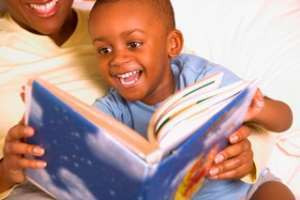 In 2018, The International Literacy Association developed the Children’s Rights to Read project.The Case for Children’s Rights to Read lists 10 fundamental Reading Rights.www.literacyworldwide.org/. According to Atlas (2017), the 25 most illiterate countries include:South Sudan, Afghanistan, Burkina Faso, Niger, Mali, Chad, Somalia, Ethiopia, Guinea, Benin, Sierra Leone, Haiti, Senegal, The Gambia, Bhutan, Pakistan, Guinea-Bissau, Mozambique, Central African Republic, Cote d'Ivoire, Nepal, Bangladesh, Timor-Leste, Mauritania, Togo. With Children's Book Week turning 100 years old in 2019, Every Child a Reader and the Children's Book Council have announced plans for a celebration.The 100th Anniversary theme is Read Now—Read Forever. Look to the past, present, and most important, the future of children’s books. Children’s Book Week is April 29 – May 5, 2019. Happy Birthday to Children’s Book Week!